Get the industry-preferred Personal Trainer qualification from the real educators of fitness for 20 years. If you're looking for a career as a Personal Trainer, or to validate your experience, then the fitness industry's most respected Diploma - The Level 3 Diploma In Fitness Instructing & Personal Training is for you. Upon successful completion of the course you will be authorised to work in the health & fitness industry as a Personal Trainer or set up your own business. This Diploma consists of two primary qualifications including the Active IQ level 2 Certificate in Fitness Instructing & Active IQ Level 3 Certificate in Personal Training. 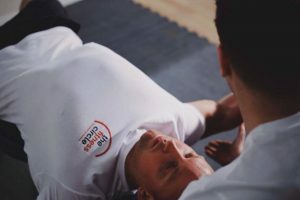 Our Personal Trainer course has been developed over the 20 years we have been in business, aligned with the standards of the current fitness industry. We train you for a sustainable career as a Personal Trainer, not just a fitness qualification. We impart experience and actionable knowledge. It is a fact the health and fitness industry is booming in response to the general decline in the health of the population. On the upside, there is an immense opportunity and increased demand for fitness professionals. Training with us gives you a strong foundation and competitive edge for a job in the fitness industry. Can't wait to get started? Give us a call on 0800 677 1175. Your Active IQ qualification is internationally recognised, opening up your career to the world. All of our courses are approved by REPs.
20 years producing over 1600 world-class fitness professionals now enjoying successful careers. You will need to complete 4 multiple choice tests in total, Portfolio of evidence, Fitness & Personal Training practical assessment and a Nutrition case study. There are no entry requirements for this qualification however students must be 16 years or older and basic levels of fitness, maths & English skills. Experience with gym equipment is desirable but not essential. If you already have a Certificate in Fitness Instructing then you should check out our Level 3 Certificate in Personal Training course. Once you have successfully completed the course, you will be qualified to work as a Personal trainer on an employed or self-employed basis. We get regular enquiries for our students from the leading gym chains such as Pure Gym, The Gym Group, Virgin Active & more. Once qualified you will also receive a PT business & marketing pack along with CV templates to use. The course is delivered in a blended learning format, which essentially means flexible home study that is supported by a personal tutor, combined with practical attendance days. You will need to attend 6 days in total for the practical training and assessment days. The Level 3 Diploma in Fitness Instructing & Personal Training can take anything from 10 weeks to a year to complete.